This part has not been easy. Yesterday was a good day, eating-wise. I think I did a pretty good job of listening to my body’s cues about fullness and when enough food was enough. I just failed at the timing of my eating and drinking so that I did not get in enough water or protein. I was also so scared to eat solid food for the first time in 3 weeks that I took things easy. But how quickly we become comfortable with the new! And how easily we fall back into old habits before fully adopting new ones. 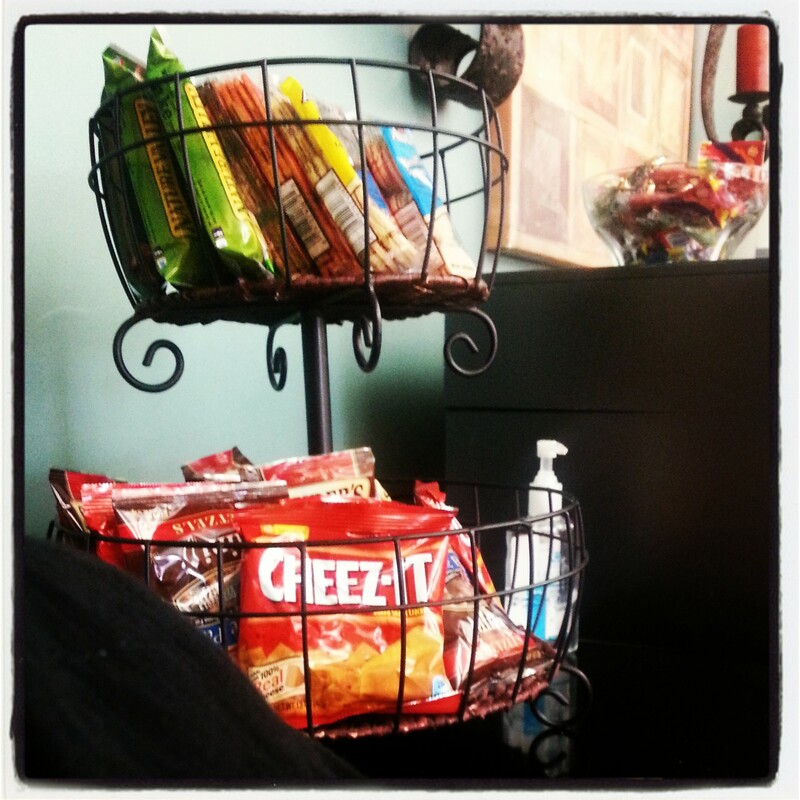 Super healthy snacks in the hospital waiting room. And the little refrigerator was full of sodas and a few water bottles. Awesome, right? And this is a place where they do bariatric surgeries! I made a mental note to be sure to pack a lunch kit full of protein snacks for when SB has his turn in the hospital for surgery in a couple of weeks, because the waiting room at the hospital where he’ll be has the same sort of fare offered. And while these things sound good, I know they are things that won’t be of any value to me in the weight loss process. And besides, they’re not soft foods. I did however, partake of a couple of the little water bottles that were available in the refrigerator there, so there was that. We were at the hospital until a little before 11:30, and I drove SB home since he was still a bit sedated and was not cleared to drive for the rest of the day. On the way home, I stopped at Chipotle to pick up a container of their guacamole, which has to be the best guacamole I have eaten from a restaurant EVER. Why? They don’t mess it up by putting tomatoes in it! Guacamole with tomatoes in it is a tragedy and should not be consumed by anyone, but I am biased. I grew up in a household where guacamole was made with 4 ingredients: avocados, jalapenos, lime juice and onion. That’s it. And that’s all it should EVER be. But this isn’t about Chipotle, or guacamole for that matter. I wanted to try out a little guacamole on the taco meat I made last night because I love guac, and the unsaturated fats in the avocados are good for me. I did a little bulk cooking last night and cooked a couple of pounds of ground turkey. I made some meatballs of my own out of one pound, and made spicy taco meat out of the other. I froze most of what I cooked for next week. When we got home, I was ready to eat lunch, not because I was hungry, but because I am currently eating on a schedule (at least I’m trying to) and it was time for lunch. I measured out my 2 ounces of taco meat using our food scale, heated it up and then measured out 2 teaspoons of guacamole and dabbed it on top. I then mixed it in and out of habit, sat at my desk to eat (BAD EATING BEHAVIOR #2). Taking small bites and making sure each one was chewed thoroughly, I ate nearly all of what I’d served myself. This was a bad idea. I felt the pressure in my chest and the heaviness in my sleeve–both signs that I’d eaten too much. I left one normal-sized bite in the bottom of the bowl, sat up a little straighter and had a wave of nausea wash over me. I could feel my mouth begin to salivate, and it wasn’t because what I had was just that good–this is my body’s cue that I’m about to vomit. I sat very still and swallowed the saliva and let the nausea pass. I knew at that moment I’d eaten far too much and had eaten past satisfied because I let my brain tell me I needed to. A serious shift in my thinking really needs to take place, and quickly. Even though I am using a food scale to measure out portions, and I am tracking every bite and sip in MyFitnessPal, the Fat Girl in my head is still telling me, “You have to eat every bite of food on that plate.” She’s also telling me that it’s okay to eat in the car, and at my desk–places where food really can’t be consumed mindfully because there are so many other things to distract me from the pleasurable activity of eating. I feel like every meal will be a fight with the Fat Girl inside. And I don’t want to fight with her. I want to tell her, “Hey, I’m trying to be better! I’m trying to get healthy, and your behavior isn’t helping me!” But I don’t know how to quiet her louder, insistent voice that yes, it’s okay to eat that last bite and no it’s not okay to throw out the food I don’t eat. These behaviors are extraordinarily difficult to unlearn, especially when they’ve been ingrained in you your whole life. I did not repeat this behavior at dinner. In fact, when I measured out my allotted portion of turkey, there was a teaspoon left in the container I’d been getting the meat from. I looked at it, remembered how I felt when I overate at lunch, and promptly tossed it in the trash. I see that as a small victory over the Fat Girl, and perhaps that’s how they need to happen: little by little, one at a time. The cliched saying is, the weight didn’t come on overnight, and it won’t come off overnight. I didn’t learn these bad eating behaviors overnight, and I won’t unlearn them overnight either. They are the result of years of conditioning and training, and it will take years to condition myself to think that these behaviors are not conducive to my success in this process. While I have mourned the Fat Girl, she’ll always be inside me, trying her best to derail the progress of the Thinner Girl who shares the psychic space they both happen to occupy. I just hope that one day, Thinner Girl bitchslaps the Fat Girl and puts her in her place–a memory stored in the back of my brain that reminds me of where I came from and where I’ve been. The Thinner Girl deserves to be healthy. Most importantly, the Thinner Girl deserves to be happy with herself. 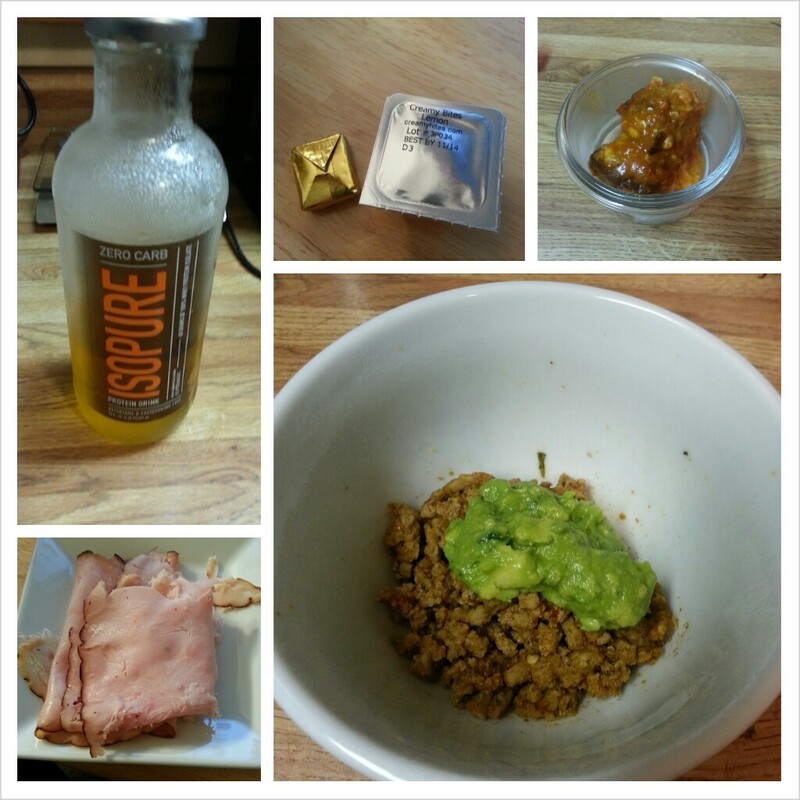 This entry was posted in eating, head trips, oh behave!, post-op and tagged changes, daily bites, fighting the fat girl, let me teach you, oh behave!, post-op eating, post-op life, sleeve gastrectomy, VSG, vsg realness, WLS. Bookmark the permalink.